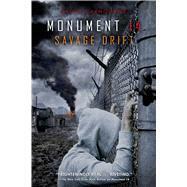 EMMY LAYBOURNE, author of the Monument 14 trilogy, is a writer and actress. She has appeared in movies like Superstar and The In-Laws and has performed original comedy on Comedy Central, MTV, VH1, and with UCB and Chicago City Limits. She lives in Upstate New York with her husband and their two children. Visit her online at emmylaybourne.com.